We are already so over the #hashtag already. 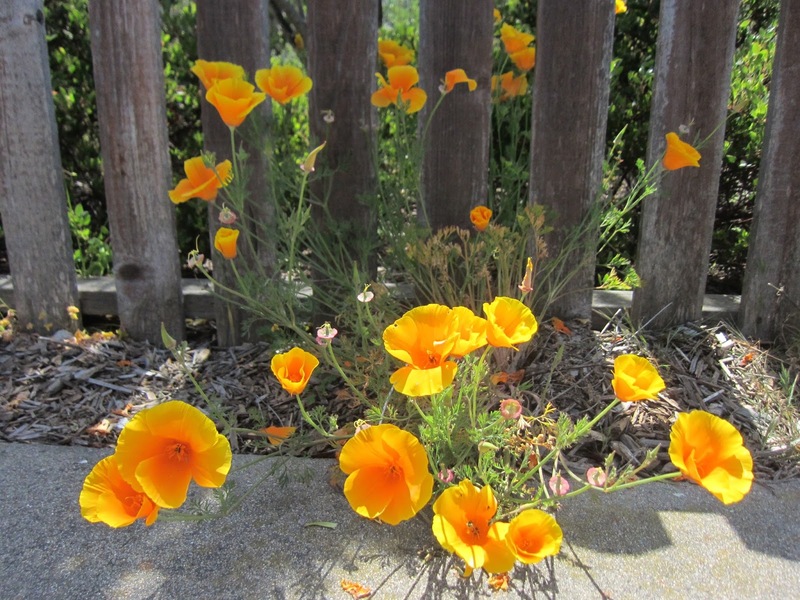 We are not over California Poppies though, in fact, we can't get enough of them!!! Thou shalt covet thy neighbor's poppies. Easily, they share themselves and just as easily they get eaten by gophers. In rainy or parched years, they unabashedly prevail and bring about complete Art Ranger Admiration. There he is! 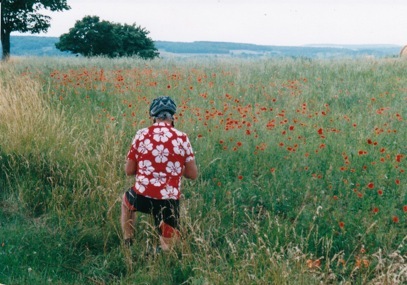 Our Father Bob on Bike Trip (in Italy or France?) stops to paint Wild Poppies. Gone now for twelve years, he continues to inspire. He tasted and tested and tried everything possible, living life with such gusto! - while always taking time to savor the flowers (or the whatevers). The Art Ranger may soon be on summer recess, but we hope you will join us in watching out for unexpected beauty: FAF@homelandinspiration.org.